Have you herd? They’re back from working the long paddock and ready to bring in the big mob. 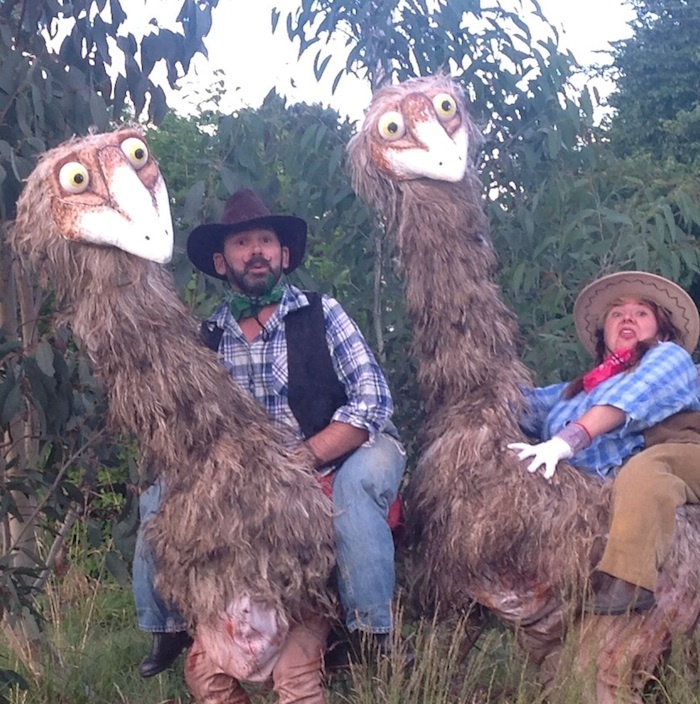 Riding their giant emus, this Jackaroo and Jillaroo are a whip cracking good time of mustering mayhem and amusement. 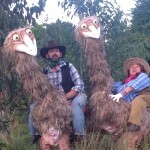 Roving Australian animal puppets in the form of inquisitive Emus to delight and surprise your audiences. 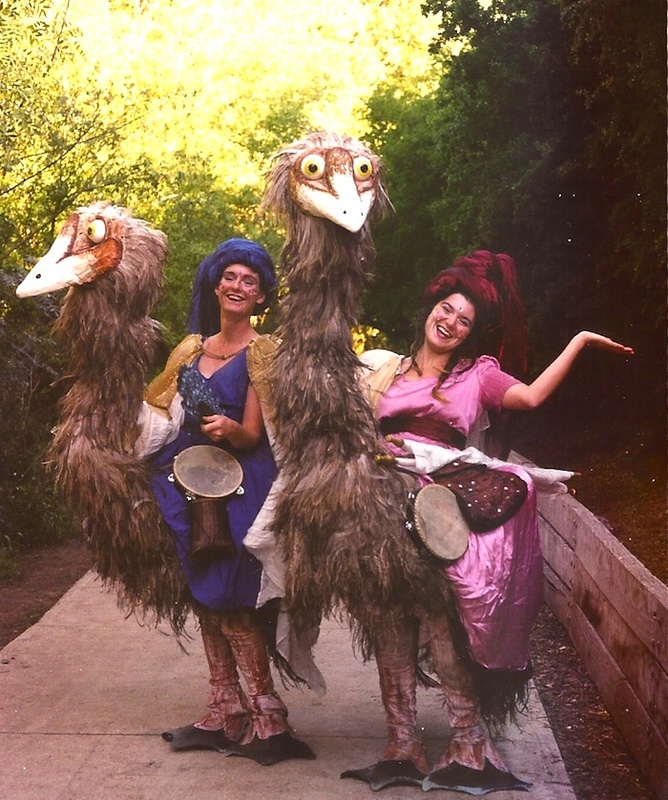 Professional performers & puppeteers bring the Emus to life. 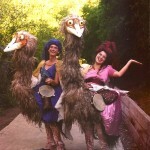 Perfect for events that would like some animal entertainment! 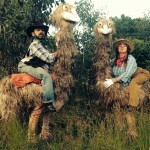 The Emu’s and their riders have performed internationally at Glastonbury, Oerol Festival (Netherlands), Prague Puppet festival, Ghent Puppet Festival, Barcelona Mercat de la Flores, Tarraga (Spain), Christchurch World Buskers Festival and others. 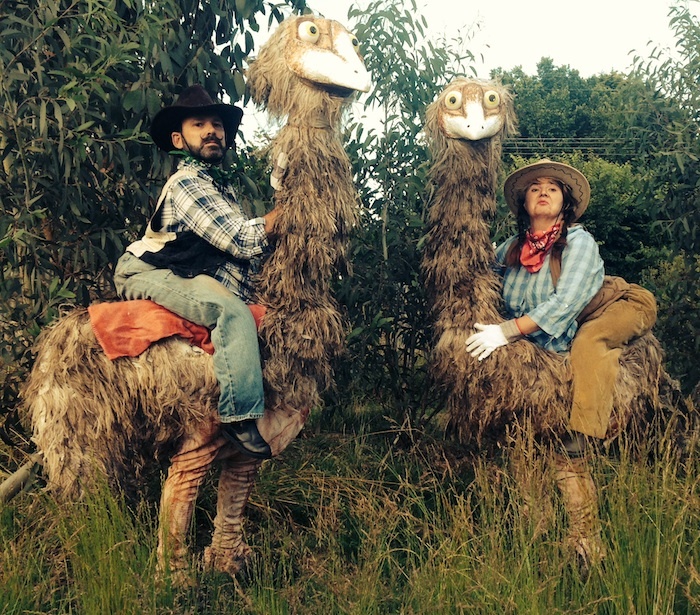 Based in central Victoria, about 1hr from Melbourne they have performed at many Australian community festivals, Moomba, Australian Open, Adelaide Fringe Festival, Australian Grand Prix and more.